Having a party? Need a bunch of great food quick? Let us provide food for your next event! 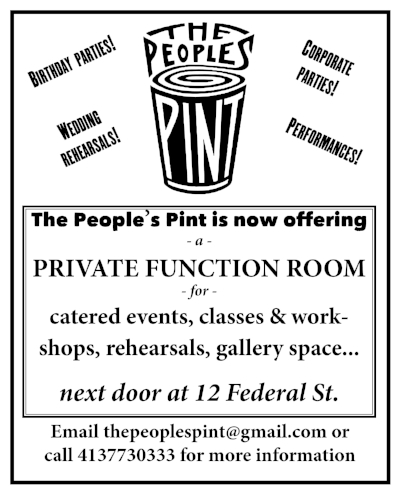 Click here to check out our catering menu, and call us at 413-773-0333 or email thepeoplespint@gmail.com for more info! a phone call if you are coming with a party of 6 or larger. help us limit waste wherever we can. Next time, skip the straw! for community power! Find out more at CommonGood.earth.